Unnatural Links What is the Purpose of the Google FUD Campaign? 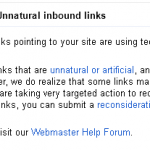 Home » Unnatural Links: What is the Purpose of the Google FUD Campaign? Unnatural Links: What is the Purpose of the Google FUD Campaign? Google started sending out even more of the cryptic messages. They were telling webmasters in Google Webmaster Tools that they have “unnatural links” as usually without any help to detect them or remove them. Google was just plainly scaring people. Then they seemingly backtracked a few days later to say that these messages do not mean you have been penalized, they don’t matter. Of course this was just temporary. Confusing people for fun or profit? Then Google spokespeople apparently again changed their mind to say that of course such a message can mean a penalty and that they can’t be ignored. Given the fact that all of this happened in July while many people were on vacation there is only one logical reason for making webmasters panic in such a way. It’s a so called FUD campaign by Google to discourage people from practicing SEO. FUD stands for “fear, uncertainty and doubt” and is an unethical business tactic to make your competition appear untrustworthy by spreading disinformation. Google calls that “transparency” but the corporation is known for its bizarre Orwellian newspeak. In reality Google does not even compete with Bing, they just do for the public. Google gets paid by advertisers so that they show up on top of so called organic search results. These organic search results by now almost disappeared in most lucrative niches like ecommerce or travel. There Google dominates most if not all of the visible screen real estate. You have to scroll to even see the so called natural search results. These in turn will most likely show either Wikipedia on top or other corporations you can’t compete with. Most business owners have to pay to get included on Google. Despite this over the years demand for SEO has grown steadily, just like the demand for Google Adwords, the ads Google shows above the real search results. When you look at the actual graph of search popularity you’ll notice that both are head-to-head while in 2012 Adwords almost caught up with SEO [Update: By now Google has changed how the tools displays the numbers]. I have used the data of the US for this comparison as there are many people and celebrities in Asia called Seo so that the data is not really clean enough to get compared. In early 2012 Google also enabled so called “negative SEO” by announcing that they it’s not impossible to hurt a site by pointing bad links towards it. After Google allowed sabotaging of third party websites in their search index a huge wave of “negative SEO” ensued due to campaigns by many rogue businesses. They either tried to hurt their competition by buying unnatural links to link to them or by blackmailing webmasters so that they pay them to get unnatural links pointing to them removed. 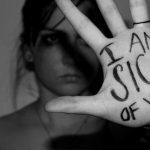 In case studies that tested the impact of Google sabotage aka so called “negative SEO” Google has been sending out unnatural links warnings quickly to the victim sites. Let’s make this clear: A criminal can hurt your site by simply paying 10$ to some hacker who will then spam thousands of blogs and forums so that they link to your legit site. Then Google will penalize you (or take manual action as they call it in Google-speak). Then the same person can extort you so that you pay them to get those harmful links removed. as in not counting them at all, neither as positive nor as positive links. Instead Google wants to offer a so called disavow tool. It will be added to Google Webmaster Tools. In it you will have to manually check all the links pointing to your site an then mark those you don’t trust as “unnatural”. This way Google gets an army of unpaid workers to clean up the Web. Danger, danger! It’s the Internet! Google is trying to convince people that links, the foundation of the Web are dangerous! Link building – the most important SEO technique – becomes high risk and costly. What are webmasters left to do? They have to pay Google to get found. They need to buy Google ads. You can’t manipulate them that easily because they are connected to personal accounts preferably run by real people. Once most people are afraid of links Google can easily take over the Web with their proprietary technology. The SEO industry will have to assimilate by offering Google Adwords and engaging on Google+ or get wiped out. What is the purpose of this Google FUD campaign? 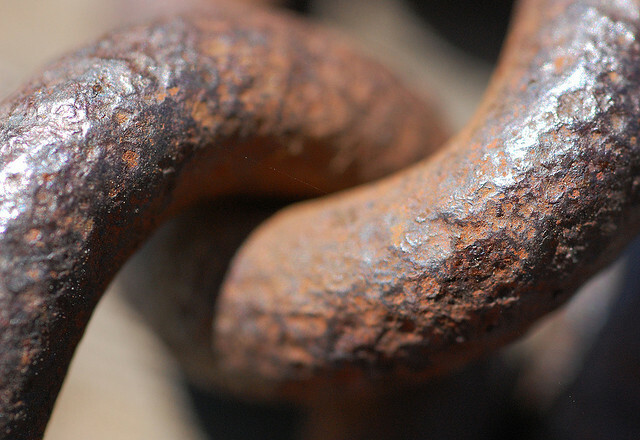 The “unnatural links” scare is not meant to improve SEO or the quality of organic search results. Google wants to sell more ads and replace links with proprietary signals. Google does need to get it’s own house in order to a certain extent, however on the whole only sites I have seen suffer in organic results so far, have deserved to, due to either on page errors or outdated link building methods. Google is is definetly running a large and scary FUD campaign. And yes I believe if they had it their way, SEO would be non-existent. But as long as they are trying to return relevant results, there will always be SEO. Tom: So you approve of Google replacing organic results with Adwords/paid Google services and links with proprietary +1’s? Mike: Sadly Google is making organic results marginal at an alarming pace. Mostly informational queries have real organic results left. When it comes to money making keywords most SERP real estate is occupied by ads and paid listings. So SEO will only deal with a small percentage of all Google traffic. The rules are so vague, ambiguous and unintelligible, with respect to Places, for example, that EVERYONE is always in violation. Eventually, you get suspended, and an e mail telling you how to sign up for PPC. Bing is looking more and more attractive to lawyers I speak with who are giving up on Google. There is a law of diminishing returns on these bids that the FUD campaign is running up. We can’t afford to pay $20 or $30 bucks to get a call from an SEO guys asking us if we want to rank higher in Adwords. Just crazy. I’ll paraphrase a comment from your post that sums up how IMHO Google should handle this. “Google could easily end this insanity by simply discounting all … links” Not just unnatural but all links. Isn’t it time we moved to a better system than who links to who? With the advances in analytics why not use Bounce Rate as the all important metric. If a searcher doesn’t like your site they will leave ASAP. Isn’t that a huge indicator your content doesn’t match their intent? Michael: Yes, Google applies its random rules without even telling you clearly what they are. Sadly Bing is not an alternative where I live. In Germany it has a miniscule market share, Google owns 95%+ of search. Mike: Yes, that’s what Google wants. They want to replace the open hypertext protocol with propriety +1’s. Bounce rate is not a good example for a better metric as its significance varies depending on the context. For example a great site like Drudge Report which is only one page of size has a bounce rate of 100%. Google ads has more market shares than the free organic traffic searches. This is why google is so strict with seo and in more demand in ads cause thats how they make their money more.